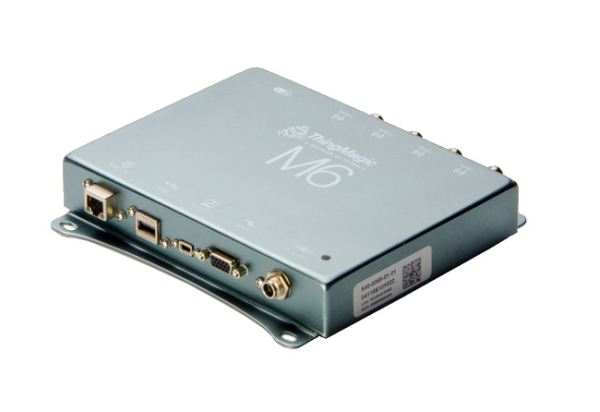 Trimble unveiled a number of new capabilities for its ThingMagic Mercury6e (M6e) embedded ultra-high frequency RFID module and Mercury6 (M6) finished ultra-high frequency RFID reader. Available through a firmware upgrade, the added functionality helps users develop and deploy RFID-enabled solutions for a broad range of traditional and innovative applications. The upgrade delivers enhancements including an increase in tag read rate of up to 75% and greater data acquisition rates with every tag read. Several application-specific features designed to read RFID tags in diverse and challenging conditions have also been introduced, including a new ‘fast search’ tag reading mode, the ability to obtain up to 128 bytes of data with every tag read, ISO 18000-6B performance enhancements, and support for IDS Micro SL900A Gen2 Class 3 Sensor Tags. Trimble also introduced a redesign of its Universal Reader Assistant, a graphical user interface developed to simplify the use and deployment of ThingMagic RFID readers. These new features offer several application specific improvements, accommodating those found in transportation, tolling, vehicle management and race timing, supply chain, retail supply chains, distribution, and healthcare markets.